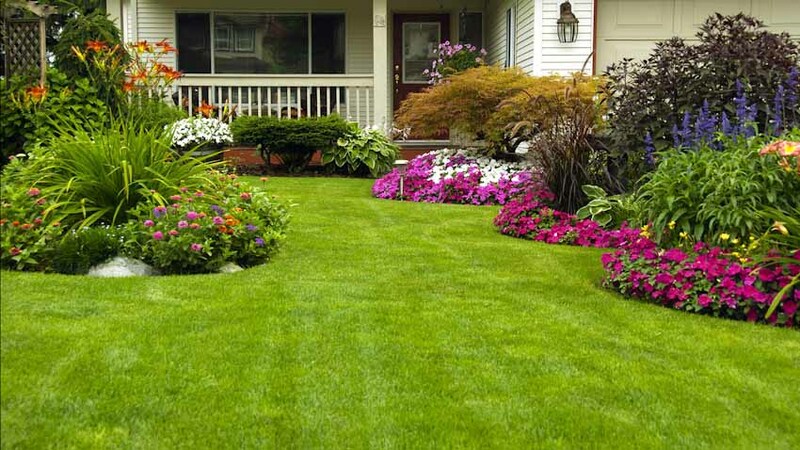 FREE SOIL ADDITIVE FOR LAWNS, PLANTS, & GARDENS! 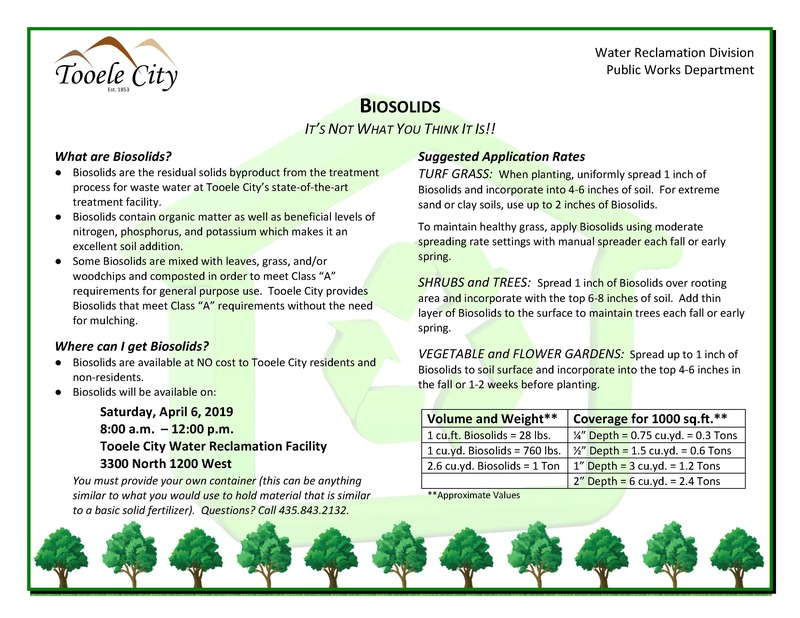 Tooele City is giving away biosolids to anyone interested! Several years ago the City constructed upgrades to its wastewater treatment facility to create a state of the art treatment facility using a process unparalleled in this country. The facility is a full reuse facility meaning nearly every drop that enters the facility is treated and can be reused. Now you have an opportunity to benefit further from this effort. On Saturday, April 6, 2019, the City will make its biosolids available to the public at NO COST from 8:00 a.m. to 12:00 p.m. The only limit is the size of the container you bring with you. Biosolids are not what you think. Biosolids are not human waste. Biosolids are the residual byproduct of the treatment process. Since it is made up of organic matter as well as beneficial levels of nitrogen, phosphorus and potassium, it makes an excellent soil addition. The City’s state of the art treatment process produces Class “A” biosolids which is the highest quality product available, making it viable for general purpose use without the need for mulching or mixing with other material to help lawns, plants, and gardens grow stronger. Fall is a great time to apply the product. Anyone interested in getting biosolids can do so on April 6th at the Tooele City Water Reclamation Facility, 3300 North 1200 West. To get to the facility go west on Erda Way from SR-36 for approximately 2 miles, turn south on 1200 West and go approximately one mile. The Water Reclamation Facility is on the left next to the City Animal Shelter. Staff will be available on-site to direct you to the biosolids for loading. For questions, please call 435-843-2132.